It's difficult to be a new mom or dad when you don't know how to be one. When I married 17 years ago, I became pregnant 30 days after. On my fourth month of pregnancy, I traveled to Saudi Arabia to join my husband, who was an OFW (overseas Filipino worker). I remember that I worried about one thing -- I don't know anything about taking care of a baby. I don't have any other family member there except my new husband, who also didn't know what to do. After giving birth to 5, here are some Practical Advice for Soon to Be New Parents that I would like to share. I believe these will be very helpful to all new moms and dads. There's one wedding gift that I really appreciated at that time. It was a book by Dr. Miriam Stoppard about baby and child care given to us by my co-teacher. This book (I still have it to this day) became my helping guide on what I needed to know about babies. It had almost everything I needed to know. Yup, I read that book. Ages ago books are the main sources of knowledge. Now, you can just Google or watch on YouTube for information. Another thing I really appreciated as we started our little family is the circle of Pinoy friends we have there. They gave us helpful advice before and after the baby was born. They even gave us some time off and took care of our baby for us. Life is going to change for new parents. Your priorities will change. If before you can attend all the social gatherings you like, as new parents, that will not be easy. There is going to be a lot of sleepless nights and it is going to get to a point where one might even feel like they will never be well rested again. But, in exchange, you will have feel joy far more wonderful than what you might have experienced prior to being a parent. Appreciate every one of those moments, focus on the good, and see it will all come to pass. You will be busy dressing the baby, feeding the baby and changing diapers. But don't forget to take care of yourself, too. Eat healthy food so you have enough energy to take care of your baby. Get some rest and sleep. Sleep while the baby is sleeping. 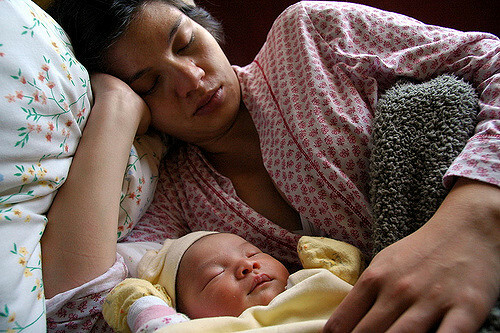 You may want to get some things done while the baby is sleeping, but I suggest you take a sleep first. Learn to say no and let the other things in life go. You can listen to all the well meaning comments and advice that other people including in-laws will tell you regarding your child. But you are still the parent who will decide how to raise your child. No need to argue. Just be considerate and do what you think is best for your child. The baby can make a mess that you do not expect sometimes. So you better have several washcloths or bibs as well as cotton balls (make your own for cleaning the nappy area) ready. You can use disposable baby wipes but that can be costly. The washcloths and cotton balls will be very helpful to clean up everything with a baby. Some babies love sleeping in their cribs. Some babies are born to co-sleep. We have a crib for our baby, but he rarely used it at night. Almost 100% of the time, he slept with us. That is actually advantageous for me because I breastfeed him and do not need to get up just to feed him at night. At other times, he sleeps on my husband's chest. If you do this, just make sure that you don't let the baby fall off you or you don't accidentally squeeze him. Remember that what worked for your friend's baby might not work for your baby. But that is completely okay and does not mean that anything is wrong. 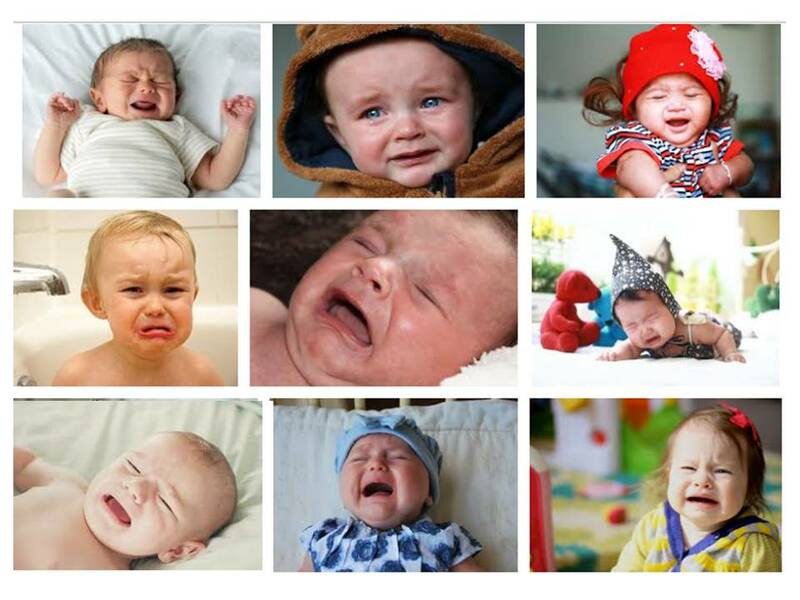 Babies cry for a reason -- hungry, wet diaper, sleepy or gas pain. If all reasons have been exhausted,.it is okay to take a few minutes to collect oneself. Just place baby somewhere safe like their crib without any blankets, pillows, or stuffed animals and walk away for a couple of minutes to allow time to calm down. Being upset and frustrated is only to make baby feel tension which means that he or she might never calm down. Should there be any concern about the baby's developments, you can tell his pediatrician to address it during regular check ups. So, it is important to keep up with your baby's regular check ups. It was especially helpful for us to see a pediatrician to assure us that everything is doing well with our babies. I decided to start this blog after I gave birth to our 4th child. That time I feel I already had ample experiences with baby care and being a mom, which I would like to share. The first few posts were about baby care basics. Here are the links to those posts. Being a new parent is one of the toughest jobs that mom or dad will ever have. It can feel extremely frustrating sometimes and you may feel like a failure at some point along the journey. I remember one night my husband was so frustrated when it was his turn to take care of the baby because our son just won't go to sleep and was fussy. Finally, when I took over his job then the baby fell asleep. The good news is being a parent is also very rewarding. Every time your baby smiles, gives you a kiss or a hug, and tells you "I love you," all the hardships and sacrifices seem to fade away. Before I sign off, I would like to give you a gift. I got giveaway rights for a series of videos about baby care basics for first-time parents. I have this published them on YouTube here. You can watch all ten videos for free. But if you want a personal copy (that means you can download and watch them any time but you cannot give them away), just sign up to my blog's list. See what's included in the video series here. Feel free to share this blog post with you friends if you want them to get a copy of the videos, too. Great tips. You are right that it's easier to get information on parenting now that we have easy access to internet. Although, there are also tons of good books to read about raising our children. I also use wash cloths and cotton balls to clean up my baby when he was younger. Love all the tips here. Thanks, Mayen, for leaving your comment. Hi Aiza. It is an exciting time for you. You've got to prepare because it is gonna be tiring. I pray you'll be well. Definitely remember that each baby, like each adult, is different. What works for one child may not work for another. Being a first time parent is not really easy. I got all the needed information from internet too. But actually, there are more to experience and expect the unexpected. Hehe. What is really important is to be prepared: physically, mentally and emotionally. Remember also to stay healthy because you can't afford to get sick when you are a parent. Great tips. I agree, being a first time parent is quite challenging. I can still remember what it was like for me and my then hubby 16 years ago when we first became parents. 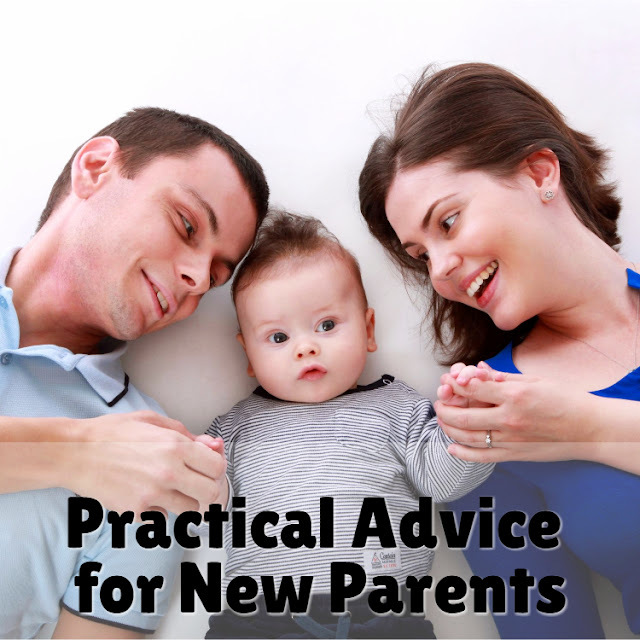 These tips of yours will surely be helpful to those just starting out on their parenthood journey. Boy did we ever find out that each baby is different. Everything that worked for the first, failed for the second! I agree with all these tips, especially #5. People always have something to comment on the way you care for your child. It's important to accept advice with proper discernment. Great tips Sis. It surely helps new parents out-there. I learn as I go, and will continue to learn being a parent to 2 wonderful kids. It's not easy but its all worth it. I love being a Mom:) Thanks for sharing this Sis naka relate talaga ako.